Flower shower! 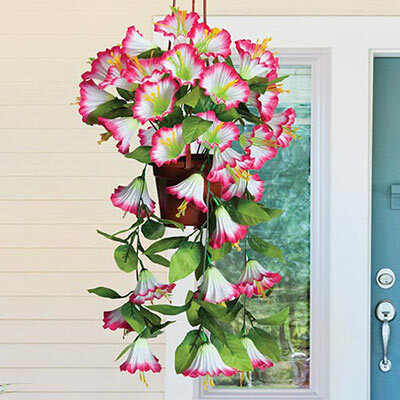 A tumble of perfect blooms cascade from a lightweight, terracotta-like basket for a floral display that can't be beat. Carefree blossoms of long lasting polyester will brighten your space for years to come! Imported. 24"h, 12" dia. pot.